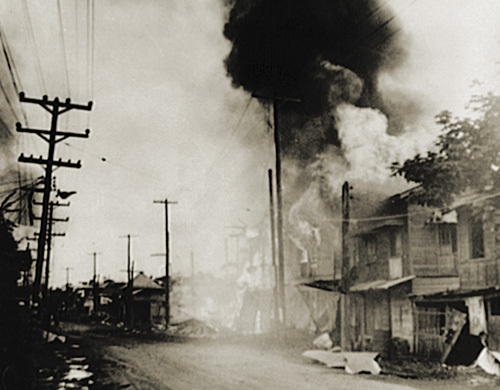 War came to the Philippines only hours after the Japanese finished with Pearl Harbor. Brereton’s pilots heard rumors about what had happened in Hawaii, but they were never sent on defensive patrols, much less to attack Formosa. 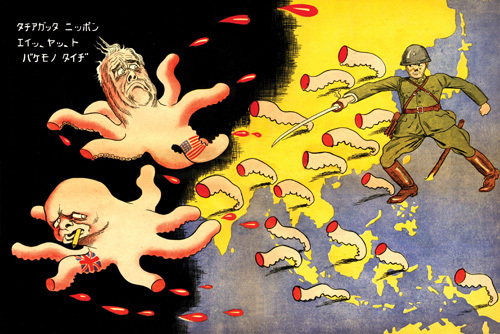 Instead, at 12:35 P.M. on Monday, December 8, the Japanese caught the American planes on the ground. They struck with 196 planes. Anti-aircraft defenses were poor, and the Japanese had a field day. The sitting-duck bombers and fighter planes were almost completely wiped out. (Surviving aircraft and crews that escaped to Australia were later organized into the Fifth Air Force). The Pan Am seaplane facilities were wrecked, though the one seaplane present came through with only a few bullet holes and was evacuated to safety.The Japanese aircrews believed they had destroyed all the US aircraft on Wake. They had succeeded in killing many marines and civilians, and in destroying two 25,000-gallon fuel tanks and all the supplies and spare parts for VMF 211's Wildcats--but not all the Wildcats themselves.